Vitality, enjoyment, well-being, environmental protection: GRANDER® stands for a conscious lifestyle in harmony with nature and the human body. More and more people who want to live a sustainable lifestyle together with their families turn to GRANDER® water revitalization to further raise the quality of their daily lives. 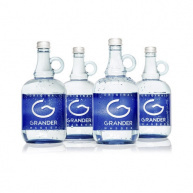 Once they have experienced the remarkable effects of tap water revitalized through GRANDER®, they no longer want to do without it: GRANDER® water is not only healthful, it also boasts a superb taste – a taste the whole family will enjoy. You wish your family would drink more tap water? You long for water so soft it gently caresses your skin? You dream of stronger growth and yields in your garden? 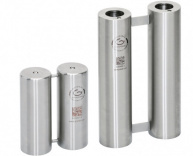 You want sustainable savings that benefit both nature and your wallet? You truly care about the environment and conserving resources?